Custom bespoke frosted window film with your own unique design. Design it quick and easy online with our own online designer. 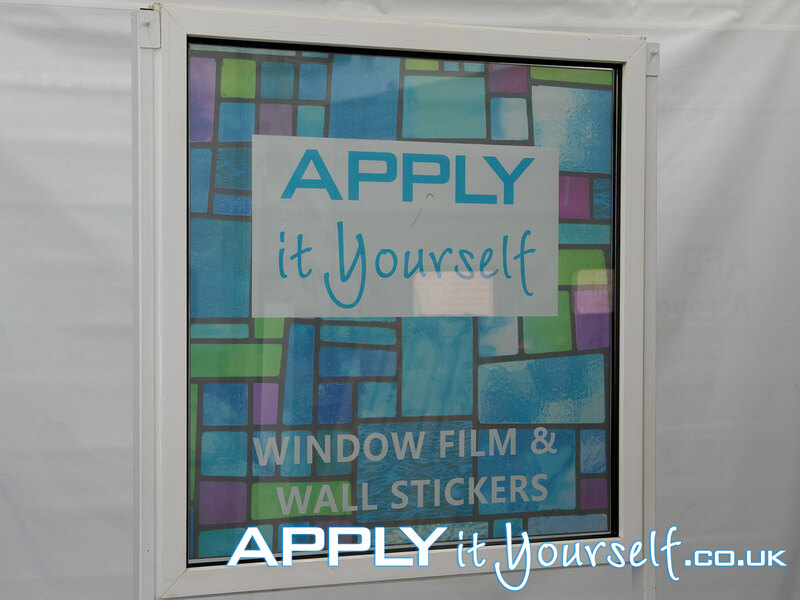 Or upload your own custom window film design. Due to the high quality and bubble free characteristics of our vinyl, it is easy to apply yourself. 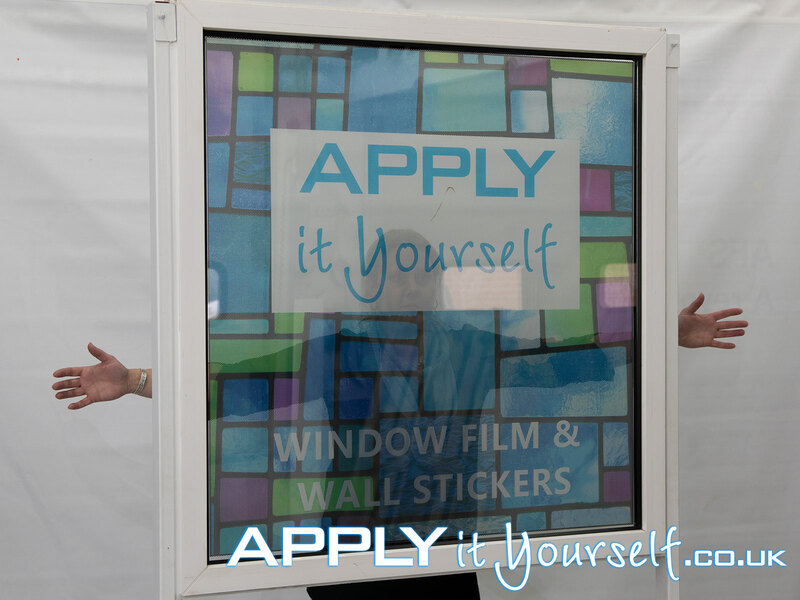 Our window films can be applied to both the inside and outside of the window. You are supplied with bubble free perforated frosted window film. So no water is required during installation. 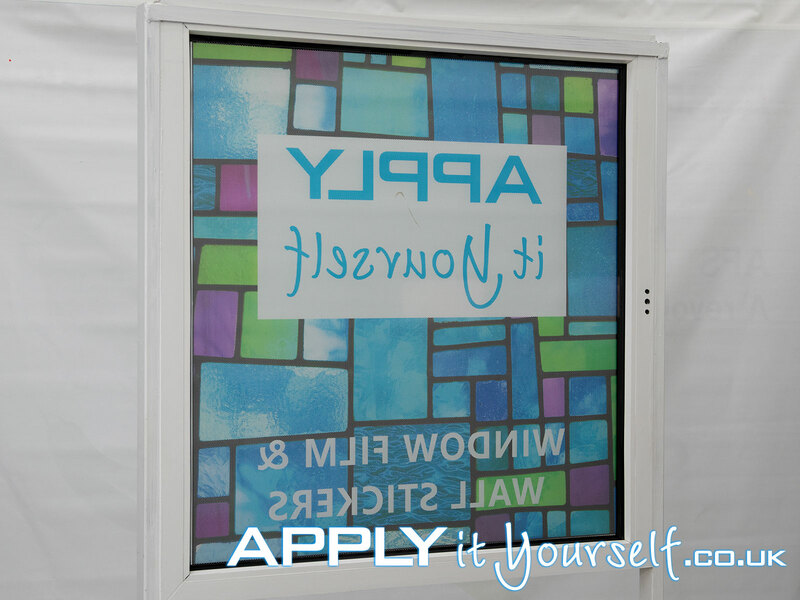 Our made to measure perforated frosted window film solution are made of high quality vinyl and will arrive pre-assembled in a sturdy box. Cut-to-size, cut-to-shape. Ready for application, no additional work is required. We can ship your perforated frosted window film world wide. Always keep your perforated frosted window film flat so that is does not bend/fold. 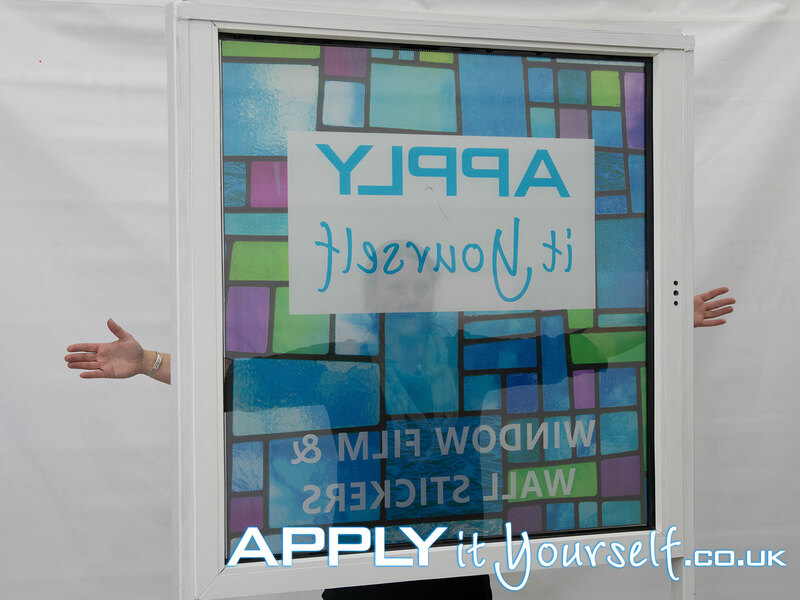 Measure the size of the window/glass (if you want to cover the entire window/glass panel). We advise you to subtract 10 mm from both the length and the height. For a good and easy fit. If the glass is 1000×1000 mm make your perforated frosted window film 990×990 mm. Maximum size of a perforated frosted window film is 1330 x 3500 mm or 3500 x 1330 mm. If you are looking for larger perforated frosted window films, contact us directly by email. 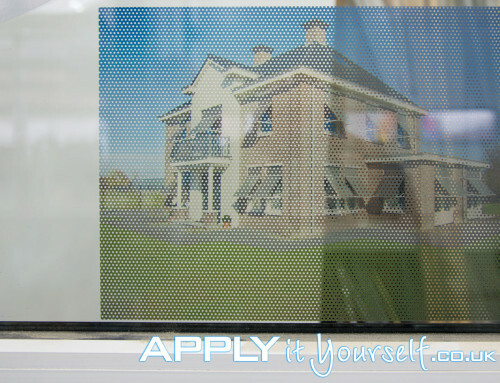 For your perforated window film design we advise a minimum resolution of 2×2 pixels per square mm (50dpi). Or 2000×2000 pixels per square meter (1000×1000 mm). 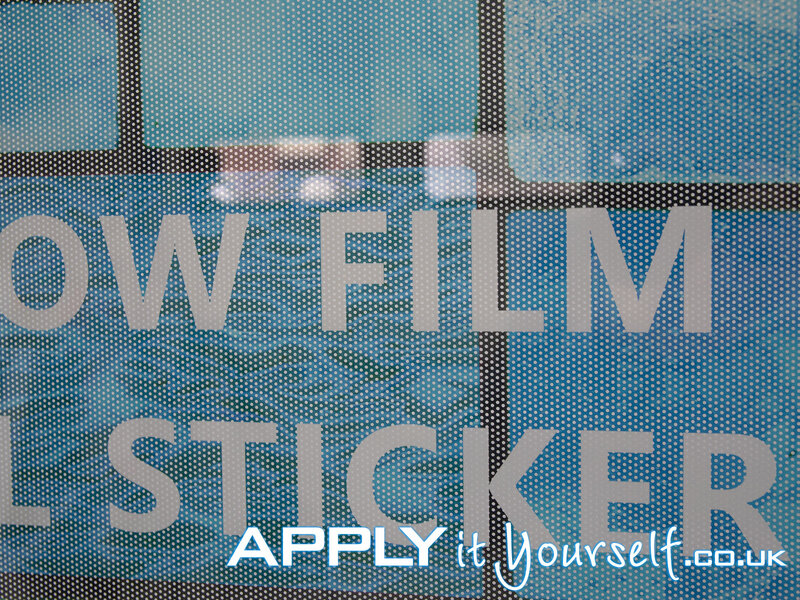 Due to the bubble-free adhesive, the perforated frosted film is easy to apply yourself. Read our extensive online instructions and watch our online instruction videos. Make sure to not apply your frosted window films in direct sunlight, make sure the temperature of the perforated window film, the window itself and the surrounding air is -ideally- around 12 to 18 degrees Celsius. When the temperature is above 18 degrees wait until it is below 18 degrees celsius. Extensively clean the window (use a glass scraper) and the surrounding area, including you work environment. Clean it of paint, durst, dirt, flies, spiders, etc.. Watch out for your fingerprint on the window glass itself and the adhesive of the film. Lock up your pets. 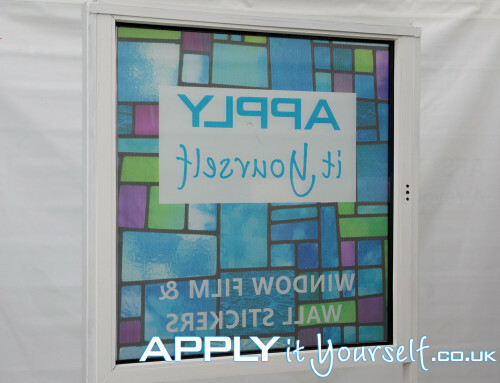 Use the supplied squeegee and card over the application-tape on the front of the perforated frosted window film to further increase the binding between the two. Use a flat surface, like a table. 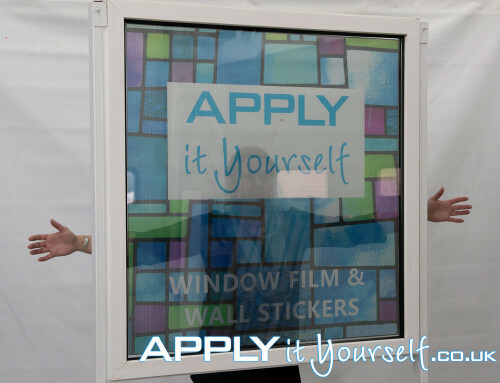 Allow the adhesive of your perforated frosted window film enough time to stick to the glass. 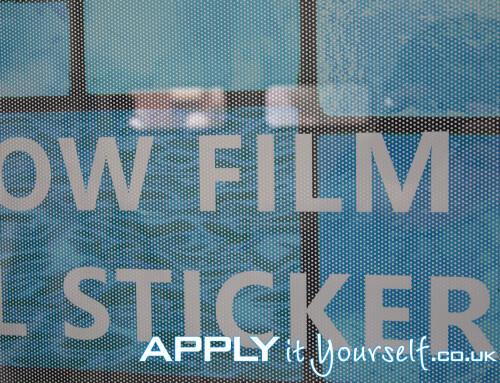 So that removing the application tape does not lift the film from the glass. Remove the application tape after a couple of hours, 6 to 12 hours should be enough.